(37 reviews) Write a review! Flex, Type, Loft, Bounce, Lie Angle will change. Love this wedge! I got the 56 degree S grind and I did not go wrong. It is very versatile, from the bunker to the grass. I can use this from the rough outside the green or on the fringe. It puts the ball up in the air nicely and has helped my back spin. Already got a hole-out from this thing. 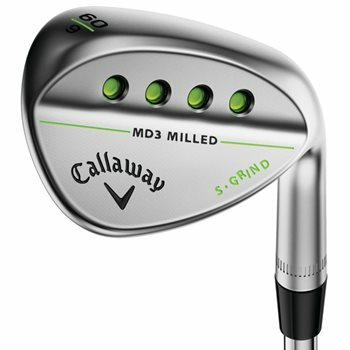 Ordered the 52 degree, S-Grind MD3 wedge a couple weeks ago. Replaced the standard grip with a midsize grip. I hit it on the driving range just before heading out for a round of golf. I immediately noticed how much better it was than the Tommy Armour wedge I've been using. Played another round 3 days later. Same result! I'm able to hit my approach shots much more cleanly with this wedge, and I picked up almost 10 yards in distance. I like it so much I've ordered the 56 degree wedge as well. I recommend this wedge to anyone who is not happy with their current wedge(s). Replacement wedge making a big difference in my short game. 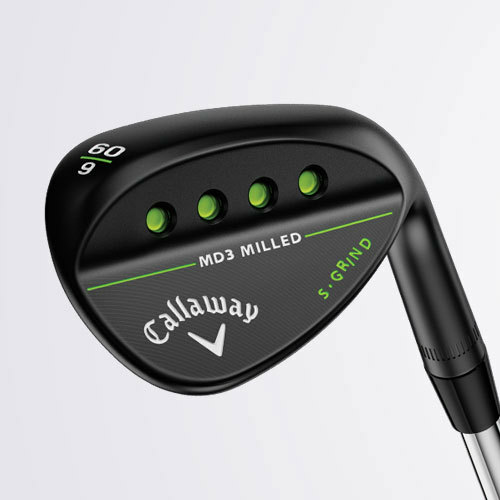 I was looking to replace my lob wedge, glad I went with the Callaway MD3. Great wedge at a great price. Wedge came in a better condition than I expected. I already have the 52-56 in the MD3. Awesome!!! I'm getting the 60 right now. 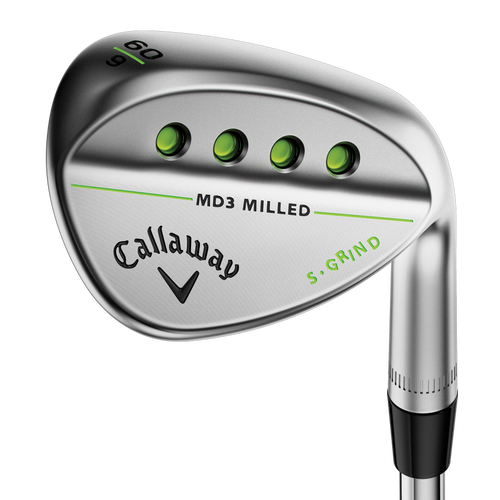 The Callaway MD3 Milled S Grind Wedge is a versatile golf club made for every type of course condition. 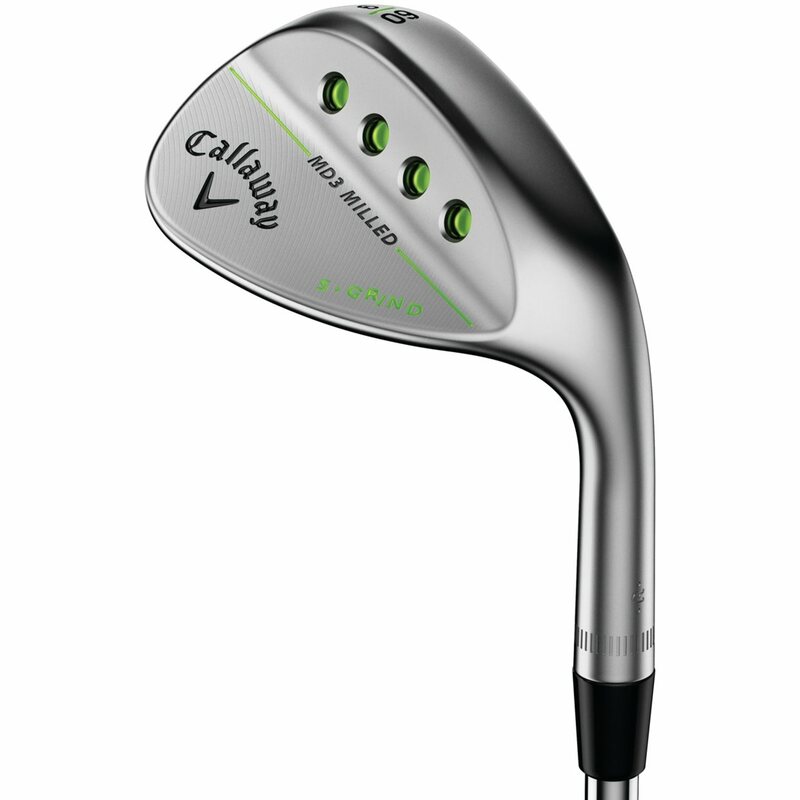 The wedge is perfect for a number of shots because of its unique grind, progressive groove optimization, and advanced shape. This wedge is for firmer conditions on the golf course. It features more heel and toe relief for players who like to open the clubface on shots around the green. The S-Grind is a versatile option and is great for a wide range of conditions (normal, soft or firm), shot types, and swings (moderate to sweeping attack angles). 1. A narrow and deep 30-degree V-groove in the pitching for shots that require a steep angle into the ball. 2. 20V grooves in the sand wedges for full shots and bunker shots. 3. 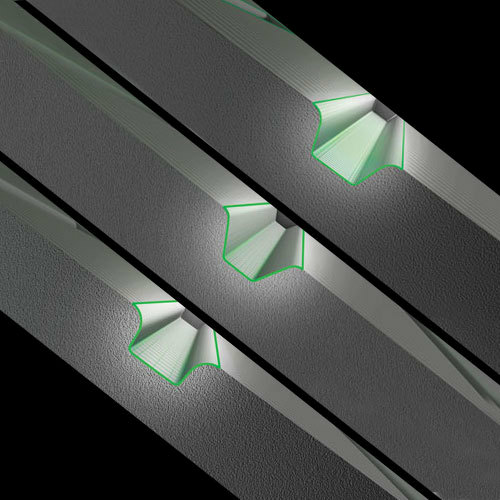 Wider 5V grooves in the lob wedges for better control for shots out of the rough and around the green. 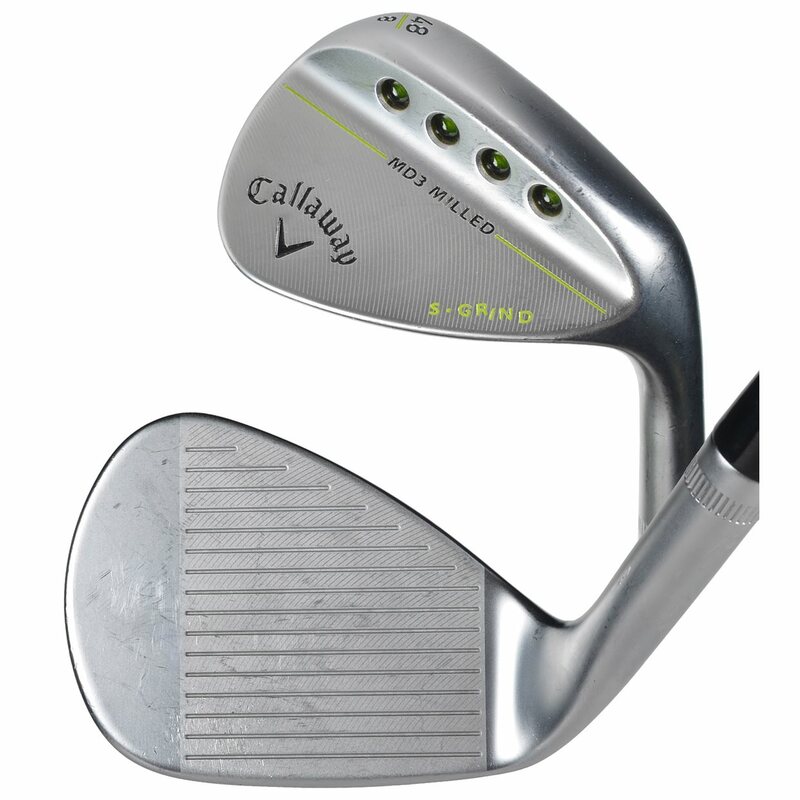 The advanced shaping and design create a well-balanced wedge with a high toe profile and a semi-straight leading edge. It includes weight-saving ports in the back of the clubhead which attest to the wedge's expert craftsmanship. The weights create better shot-making, especially out of the deep rough.